As part of National School Board Appreciation Week, which is recognized Jan. 23-29, Director of Schools Barbara Parker presented members of the Cannon County School Board with a framed photo during January's School Board Meeting. Seated, from left, are Board members Shannon Davenport and Cathy Hyatt. Standing, from left, Mike Mayfield, Chris Blackburn, Director Barbara Parker, and chair Randy Gannon. The photo read: Nobody cares for Tennessee’s children like a School Board member. Thank you for everything you do. School Board Appreciation Week, Jan. 23-29, 2011. Board members were also presented with a proclamation from former Gov. Phil Bredesen. 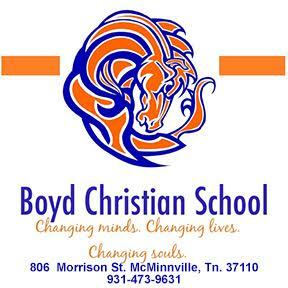 School Board Week in Tennessee is part of the National School Board Recognition Month, which highlights school board members across the nation throughout the month of January. Each year, “School Board Appreciation Week” is proclaimed by the governor and celebrated statewide to honor the school board members who govern our schools and make a difference in the lives of our children and communities. 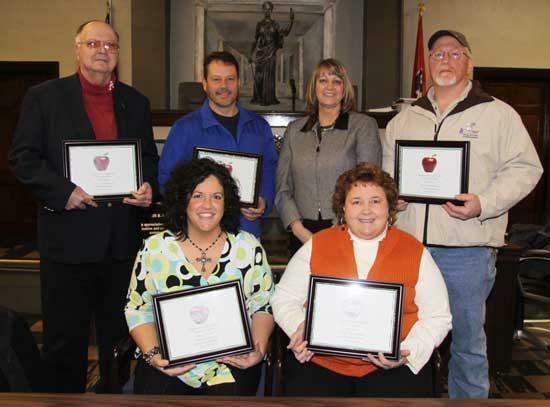 January 23-29, 2011, has been declared Tennessee’s “School Board Appreciation Week”. Public education is everyone’s business, and it holds the key to the success of every community. School Board members devote their time and efforts to ensure that our students receive a first-class education and an opportunity for future success in life. Jan. 23-29 is a time for the community to thank board members for their commitment to our children and their education. The Cannon County School Board is comprised of the following members: Chris Blackburn, Shannon Davenport, Randy Gannon, Cathy Hyatt and Mike Mayfield. WHEREAS, the men and women elected by the people as members of our local school board deserve recognition and thanks for their countless hours of service in public education in Tennessee. and urge all citizens to join me in this worthy observance. Thank you Mrs. Hyatt for all that you do for us at Woodland! !